Thanks so much for the fine recognition in your latest issue of ROTC at Mines and of unusual career tracks of some graduates of Mines. Those two perspectives certainly encompass my life to a great extent. ROTC was an important part of my years at the school, and led to a few years in the U.S. Army. Then my “career” track led from engineering to science/technology book publishing to corporate communications to church pastoral ministry and to international church pastoral leadership in Paris and in Strasbourg, France and in Berlin, Germany. Along the way, two more graduate degrees. My guess would be–from the career track of others–not a few Mines graduates have enjoyed a similar variety of career orbits. 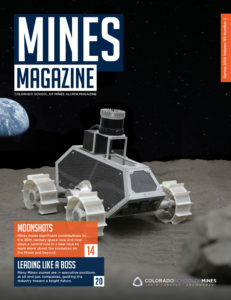 My years at Mines gave me an experience and knowledge base–as well as a source of personal strength and confidence–which has been a tremendous asset in each “career” orbit. I graduated from Mines in May of 2016 and I was excited to see that my first alumni magazine had come in the mail! Unfortunately, I was left disappointed and infuriated by the contents of your magazine. The pages were filled with extensive articles about some of the successful male engineers that had graduated from the institution. Not one article focused on the accomplishments of a female alumni, except in the Weddings and Babies sections. This is unacceptable. The current female students and female alumni have pushed through too many sexist barriers to gain the respect of their male colleagues and the title of Engineer, to be simply mentioned as wives and mothers. Yes, marriage and child birth are triumphant deeds, but the women of Mines have also spent years of their life to become engineers so they could advance biological research, attend medical school, develop petroleum pipelines, program software, and work on offshore oil rigs. Failing to represent them as such does a huge disservice to the university and dissuades the interest of your female alumnae. Our achievements continue to be clouded by our male counter parts. 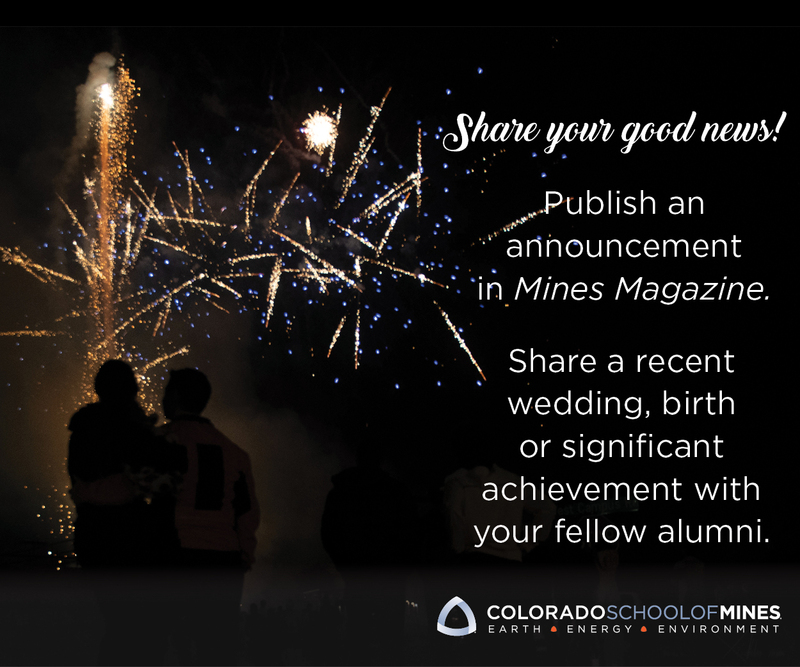 If you are ever at a loss to find inspiring female alumni, please feel free to contact me or any of the female Mines alumni. We will have a list ready for you.